From the folks behind Kiss Kiss and Happy Boy. In a building known for its extraordinary number of tapped out restaurants, now lies a striking new Vietnamese eatery from the folks behind Kiss Kiss and Happy Boy. If there's one group that can break the curse of 191 Dominion Road it's brothers Jasper and Ludo Maignot and their business partner Celeste Thornley. Love Exposure is described as the "super crazy younger sister of Kiss Kiss." They're certainly not joking; you can't miss the new opening on your voyage down Dominion Road. 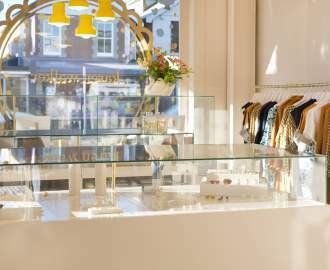 Capitalising on the glass box exterior, and following the theme of their other openings, a healthy dose of florescent lighting spills out on to the pavement. This one just happens to change colour. Jasper says the group "went back to basics for this project and designed and built everything themselves." The result is a colour-loaded assault on the eyes. There's garish notes like purple camping chairs, plastic camouflage tablecloths, fake (but very convincing) jellyfish in a tank, florescent cutlery and every colour under the cosmic sun. They also worked with artist Guy Brock who designed some murals for the space. The core focus of the menu is affordable Vietnamese fare, with a menu kept small because the "kitchen is super little". To start, there's bar snacks including house made taro chips and prawn crackers. 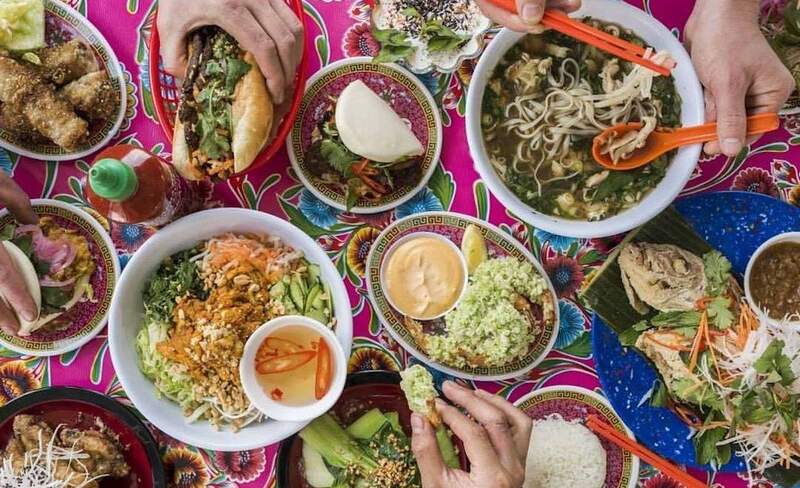 Under shared plates you'll have the choice of two summer rolls (prawn or tofu) and deep-fried spring rolls, caramelised chicken wings and grilled pork shoulder that you're encouraged to wrap up into lettuce cups. The banh mi and vermicelli salad come in three flavours: grilled pork, lemongrass chicken and tofu, while the two varieties of soul-warming pho are rare beef and free range chicken. The drinks menu has been stripped back, with a focus on rosé and Champagne, plus a trio of cocktails, organic wine on tap, free-flowing Brothers Beer and a concise selection by the can.